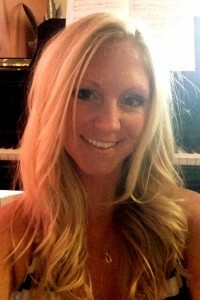 A Minnesota native, Jacqueline is a creative and energetic instructor and performer. After graduating from the University of Minnesota and gaining work experience, she returned to school for a second bachelor’s degree — this time in music, with an emphasis in piano performance. Jacqueline has over a decade of teaching experience, as well as a diverse background in collaborative piano, having accompanied for area churches, choirs, instrumentalists, cabaret shows, and local bands. She currently performs monthly with her band, Element, in the Chicagoland area, and she always strives to take her music to the next level. Jacqueline aims to bring out in her students the charisma and emotion that characterize her own playing. She keeps them fully engaged with a flexible and fun repertoire, while maintaining a focus on fundamentals. She recently became certified as a Guild instructor through the American College of Musicians. When Jacqueline isn’t teaching or performing, she loves being a mother to her daughter Alivia and fur-baby Bella, traveling, learning guitar, and being outdoors.